JP's Music Blog: CD Review: Cowbell Deliver A "Haunted Heart" While Wendy & DB Make The World Greener With "HomeEarth"
CD Review: Cowbell Deliver A "Haunted Heart" While Wendy & DB Make The World Greener With "HomeEarth"
From London, U.K. comes the musical duo of Jack Sandham and Wednesday Lyle, better known as Cowbell with their new album "Haunted Heart." It will be released on June 2nd through Damaged Goods and features a feel-good, down-home Americana sound that will get your hips moving. Their new 11-song release begins with the rockabilly rhythm of the titled song "Haunted Heart" as they pull a page out of the Stray Cats songbook. They continue with the slinky blues/soul of "None Of Your Business" and the up-tempo garage rock of "Downlow" as Wednesday's vocal lead the way. They slow the tempo down for the sway of "Something's Gotta Give," before bringing the congregation together for the raw, rocker "Nothing But Trouble." Cowbell wrap up their new album with the slinky, sixties-pop of "New Kinda Love" and the slow-blues of "No Wrong." 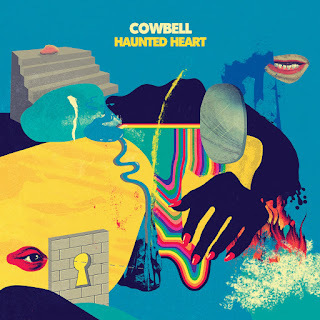 To find out more about Cowbell and their latest release "Haunted Heart," please visit damagedgoods.co.uk. Family folk duo Wendy & DB recently released their new album titled "HomeEarth." The duo from Chicago are "going green" with this new album, sending the message of working together to better their environment. Their new 13-song release kicks off with the up-tempo, fun, bop tempo of "HomeEarth" as Wendy's vocals are bright and enjoyable. They bring in a funk backdrop for the instructional "Water Song," then tell the folk tale of "Olly Orca." They pick the tempo back up with the up-beat rocker "Plant A Seed" as DB takes on the lead vocal role. Wendy & DB pay homage to their insect friends with "Buzzin' Bee Be Happy," "I Like Bugs" and "Bugs That Give Hugs." Wendy belts out the lyrics of "Girl Superhero" as she calls for all girls to become a hero in their own way. The album closes with the acoustic country sounds of "It Takes All Kinds Of Trucks" and the pop tempo of "People Are People." 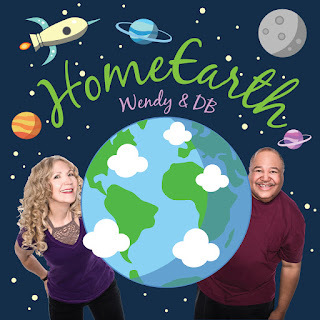 To find out more about Wendy & DB and their latest release "HomeEarth," please visit their Facebook page at facebook.com/wendyanddb.